Every little boy and girl dreams of having a pet of their own to cuddle with and play with. Whether it’s a dog, a cat, or a lizard, every child at some point in their life yearns for their own pet. We all remember the devastation as a young child when you’d ask your mom for a puppy and be told ‘no’ for the thousandth time. However, this may be a mistake. There are a lot of benefits to growing up with a pet, especially an animal like a dog. As parents, we all want our children to be educated, loving, empathetic, and well-rounded adults, right? It turns out, one of the easiest ways to accomplish this may be to let them have that puppy that they’ve been begging for. Having your child care for a pet will have them focus their energy outside of themselves, which will create a child who is not self-centered. Part of learning to be empathetic means learning to read nonverbal cues. A pet cannot communicate anyway other than through nonverbal cues, which means it’s a great way for your child to beginning learning to be empathetic. A lot of children, when asked who they would turn to when they were upset or faced with a frustration, answered that they would turn to do their pet for comfort and someone to talk to. It can be really difficult for a child to speak with an adult about the complex emotions that they find themselves experiencing. Having a pet means they will feel no judgment telling them about their feelings and expressing emotion. Although they’re practicing expressing these emotions to pets, this will help them transition to relaying these emotions to adults later in life. Also, a pet will never tell you that your feelings are invalid or that they’re tired of hearing about your problems, and that’s invaluable, for your child to feel like they’re loved and heard. If you ever had to move to a new city, state, or country as a child, you’ll understand the devastation of feeling like you’ll never be able to make a new friend because you’re leaving all of your friends behind. Having a pet means that you can bring your very best friend with you, no matter where you move. This can be a huge comfort to a child who is feeling stressed about moving. 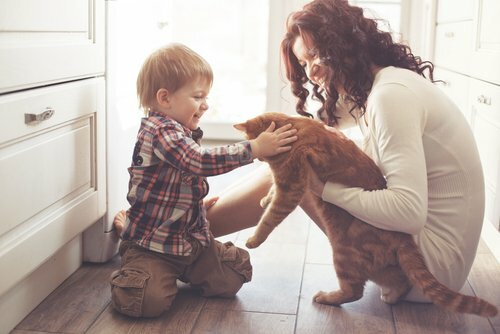 There can be complications in situations when you’re moving somewhere that doesn’t allow pets; it may be slightly more difficult, but finding somewhere that allows pets will help your child tremendously and also means you won’t have to leave behind the furry member of your family. It’s no surprise, since pets (especially dogs) are so good at bringing forth the best emotions and feelings of security, that dogs are the most common animal used as a service or therapy animal. Dogs are amazing at making you feel loved in the most selfless manner. A dog is the only animal, including humans, that love unconditionally no matter what you do, and will love you more than they love themselves. Every single time. 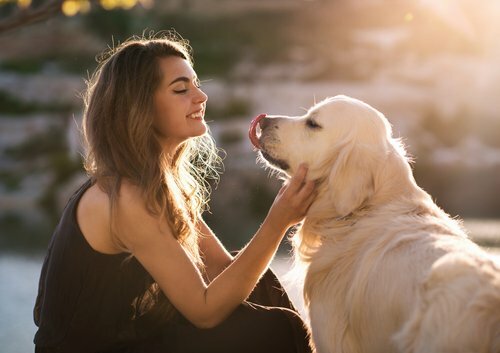 They make for amazing therapy pets, because of their effortless connection with humans. But there are plenty of other pets that make great service animals. When searching for a therapy animal, talk to your mental health care provider about you or your child’s needs, and they’ll help you find an animal that will be an amazing fit and will bring comfort and love to your child. A pet will not only help relieve stress and make you feel more calm, but they also help lower blood pressure. Even better, interacting with a human will have the same effects within a dog. So cuddling with your favorite furry friend will not only make you feel calmer and more at ease, but it will calm down your dog as well. This is especially helpful if you have a dog breed that is naturally inclined to be anxious and upset. I can speak from personal experience about bringing our lovely Carlos and Teddy (he is no longer with us) into our home. Our kids have a sense of responsibility, and Equestrian Girl Forever spends a lot of time with Carlos. She tells me he helps reduce her stress when it comes to studying. There are times I hear her reading to him or explaining math problems to him as she walks through the steps to prepare for a test. And I can speak on having a constant friend. When we moved to Hawaii and everyone went to work and school, Carlos was my buddy living at the Navy Lodge. We went out to explore and got lost together. Do you have a family pet? Tell us about him/her.